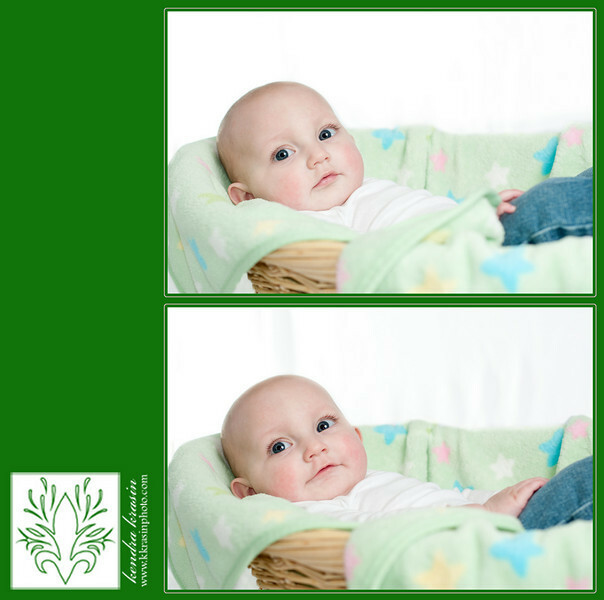 K. Krasin Photography: Sneak Peek: Brooklynn is 6 months old! 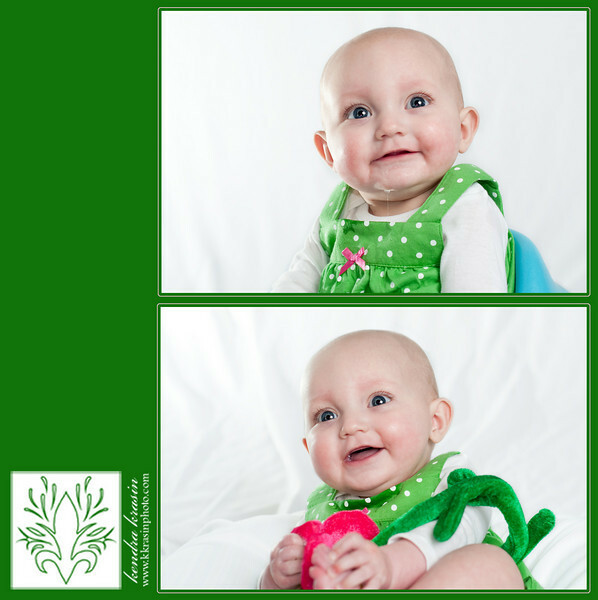 Sneak Peek: Brooklynn is 6 months old! It's hard to believe that Brooklynn is already 6 months old... it seems like just yesterday that I got to meet her & take her newborn portraits! All too soon it seemed, I headed over to Andrea & Travis's new house to set up and shoot some portraits. We had lots of fun and changed Brooklynn lots of times into all kinds of cute outfits. She wasn't quite in a modeling mood and we had to work hard for every smile - but it was so worth it! She really, really wanted to chew on her foot! Maybe a small smile?? Oh, a huge laugh! ADORABLE! Those are my favorites so far... I have lots more to edit! Thank you for letting me be a part of documenting your memories of Brooklynn growing up, Travis & Andrea! Oh, my gosh, Kendra, you have major talent when it comes to photography! I can't wait to see the rest of Brooklynn's pictures!